Jesus’ Triumphal Entry into Jerusalem. Services at 8:00 am and 10:30 am on Sunday, April 14, 2019. Join us for our Maundy Thursday service as we commemorate the ritual washing of the feet, the Last Supper and the betrayal of Jesus, the Holy Eucharist and stripping of the altar. It is a very moving and dramatic service. 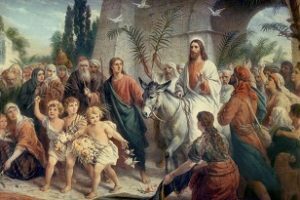 The day of the Crucifixion is the most passionate of the Christian year. 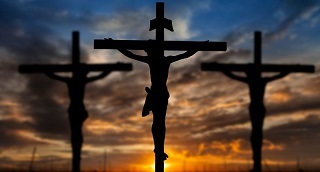 Take time to contemplate the events of the greatest sacrifice that was made for you and for all of us. This year the Anglican Churches in Cambridge come together, once again, for the Great Vigil of Easter. 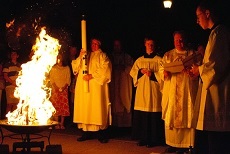 Join us at Trinity Anglican Church, 12 Blair Road at 7:00 p.m. as we light the new fire and process into the church for music and Eucharist to celebrate the brilliance of joy that Christ is Risen!